François-Augustin Paradis de Moncrif's Les Chats (1727) had the indubitable distinction of being Western Europe’s very first book devoted to cats. 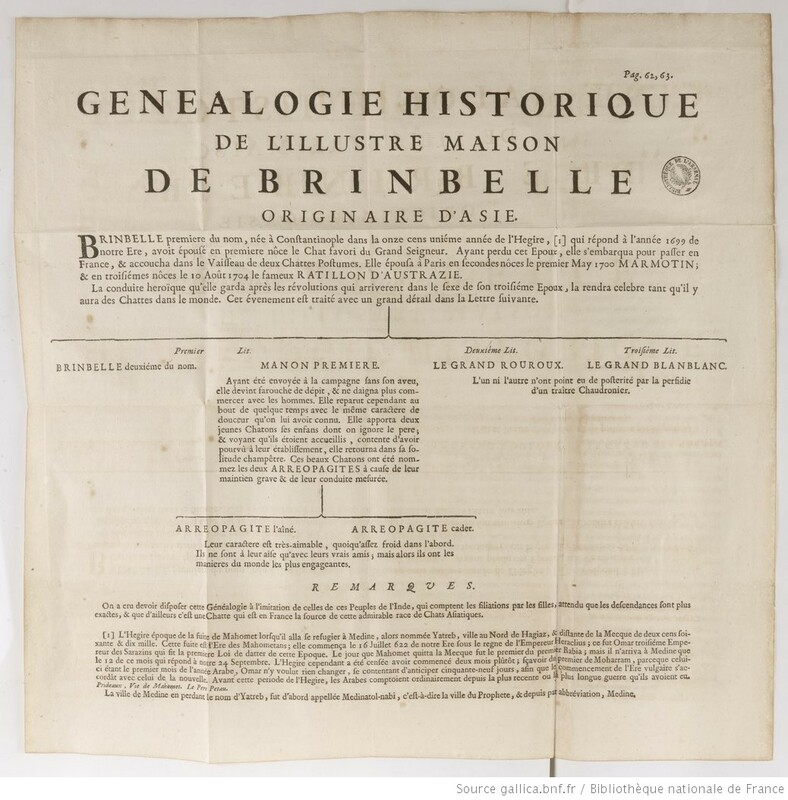 The work was published in1727 by Gabriel François Quillau and was adorned with eight fine engravings b the comte de Caylus after drawings by Coypel . (A second edition with a Rotterdam imprint followed in 1728). Moncrif characterised his approach as “gravement frivole”; his burlesque praises of the feline race were elegantly written and backed by extensive reading. But, if Moncrif thought to impress, he committed a grave error of judgment. Les Chats might have sold well, but his literary enemies chose not to get the joke; the work proved an irresistible source for the “catty” witticisms which plagued him throughout his subsequent long career. As the marquis d’Argenson commented, the ridicule was unfortunate; Moncrif’s only mistake was to have published as a book what was really only a society amusement. Much of the first four letters is taken up with an eclectic history of the domestic cat, informed by the premise that cats “hold as goodly a rank in the Temple of Memory” as Helen and Alcibiades. Naturally enough Moncrif centres his disquisition on cat worship in Ancient Egypt. (Letters 1-2). 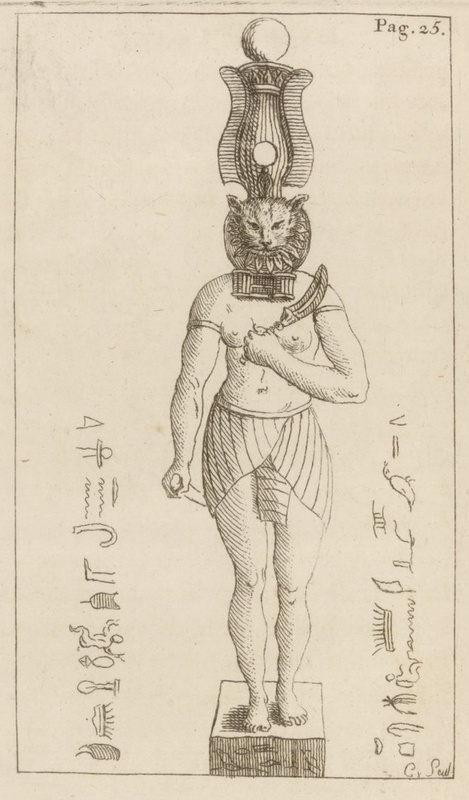 In 1727 Egypt was still a magical, semi-mythical world, viewed entirely through the prism of late Antiquity and coloured by memories of later Orphic beliefs: Moncrif seeks to show “Cats deified, as they were in Egypt, & honoured by statues, & by a mysterious cult handed down to the Greeks and Romans". His main authorities are Diodorus Siculus and Plutarch. He also cites the Antiquities of Dom Montfaucon, which was published in French only in the early 1720s. Montfaucon's plates are also obviously the source for Coypel’s illustrations - though clearly neither artist has seen a Egyptian statue. The “Cat God” of Egypt, Moncrif informs us, wears a hieroglyphic tablet on his collar: "It is true that we have no understanding whatsoever of the meaning of these characters; but we should not forego explaining them in putting together different events of Egyptian mythology"(!) There is more to follow concerning the priesthood dedicated to the cat, its pre-eminence over other animals and the splendours of the ceremonies in its honour. Moncrif’s material on Greek and Roman cats is understandably a little thin. He is slightly better rewarded by Turkish and Arab tradition. In 1727 we are still very much in the realm of travellers’ tales; Montesquieu’s Lettres persanes had appeared only six years previously. The East, Moncrif assures us, has always been devoted to cats. Mahomet himself preferred to cut off his sleeve, rather than disturb his favourite cat who was asleep on it (Letter 4, with reference to Tournefort's Relation .. du Levant, 1717; Prideaux's Vie de Mahomet (1699) is also cited.) He refers to Montequieu for a variant version of the Arab legend that the first cat was sneezed out by a lion on Noah’s Ark (Letter 3 – the story appears in Lettres persanes xviii). He himself prefers the story that cats were born of a union between the ape and the lioness; combining the qualities of their two parents, they spread through the Ark, “un esprit de coquetterie”. (Letter 4) Moncrif tells us this story came from a Mullah attached to the last Turkish embassy – so perhaps he had heard it at first hand. Finally, from faraway India, he musters a single manuscript from the great antiquarian Nicolas Fréret, concerning “The Brahmin, the Penitent and the Cat”. For modern-day cat fancy, Les chats is still of interest for its information (?misinformation) on the origins of Oriental breeds - Moncrif is credited with being the first writer to coin the term "Persian cats". He mentions the "chats de Perse" brought to Rome by Pietro della Valle, though he has a date of 1521, a hundred years too early: hence, no doubt, his claim that these cats were so closely guarded it took a century for them to reach France. Further confusion is caused when he immediately quotes a sonnet by "Monsieur Menard" who "brought a cat from Rome". 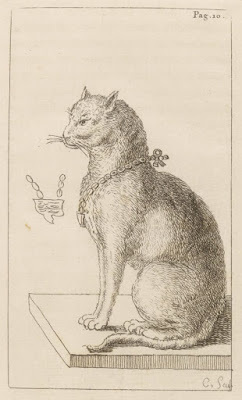 This is not really some smuggler of felines, but the poet François Maynard (1582-1646) whose sonnet on the death of his cat is quite well known. Defence of cat's musical abilities is a theme running through Les Chats and is no doubt intended as a paradoxical jeu-d'esprit, since the catawauling of cats was then, as now, a byword for a discordant cachophany. 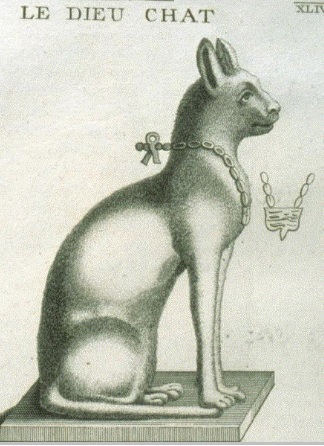 Representations of the Egyptian "Cat-God" holding sistrum, provide the pretext for Moncrif's proposition that cats are "most advantageously organised for Music; they are capable of giving various modulations to their voices, and in expressing the different passions which possess them, they make use of a diversity of tones." Elsewhere he comments that the voice of cats is so melodious that children who have scarcely left the cradle take pleasure in imitating it (Letter Three). There is a semi-serious message here about the possibilities of appreciating music which does not conform to conventional Western rules of harmony; Moncrif hopes for a new Hermes Trismegistus to make the voices of cats intelligible and enable us to become acquainted with their beauty. 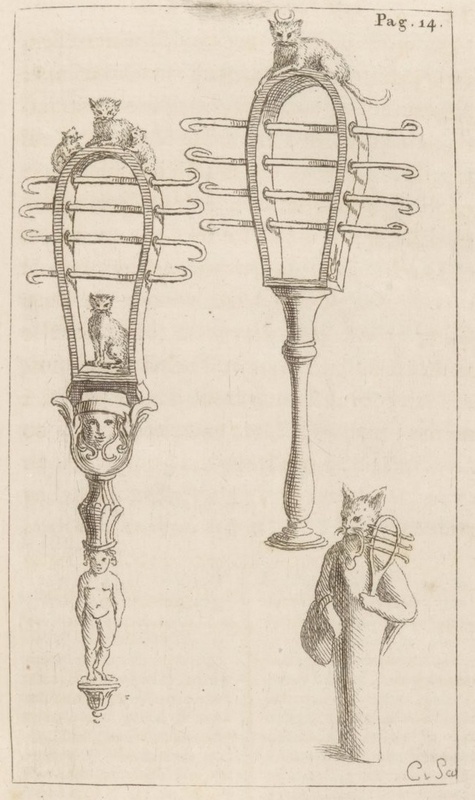 [François-Augustin de Paradis de Moncrif ], Les Chats, Paris: Gabriel-François Quillau, 1727. The only English translation is:. Reginald Bretnor trans. Moncrif's Cats New York: Barnes and co. This was a limited edition of 400 copies and is virtually unattainable. Irène Aghion and Alain Schnapp, “Il était une fois un chat… ou les antiquaires et le genre félin", in Histoires d'archéologie. De l'objet à l'étude, Paris, Institut national d'histoire de l'art (2009. 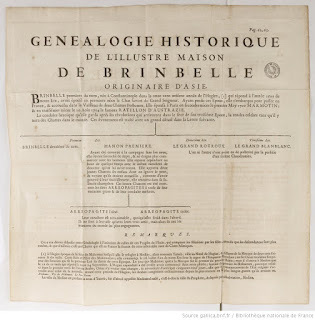 This article reproduces the opening pages of a Ms letter of 3rd June 1727 concerning Les Chatsfrom the perpetual secretary of the Academy of Inscriptions Claude Gros de Boze to his fellow-érudit, the abbé Bignon. Gros de Boze is surprised that his correspondent asks his opinion , since Moncrif merely “plays with his subject and doesn’t at all intend to delve into profound researches". Nonetheless Gros de Boze’s analysis is eight pages long. 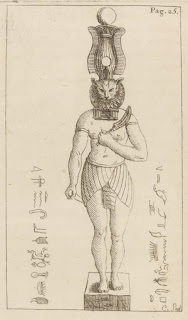 Jacques Berchtold, "Le miaulement du chat égyptien: Moncrif, Rousseau et la leçon du relativisme culturel"
According to this article, Rousseau appreciated Moncrif's abilities as a librettist but did not share his assessment of Ancient Egypt or his ideas on the relativity of musical taste. An Indian King, named Salangham, had at his court a Brahmin and a Penitent, both celebrated for their virtue, which caused a rivalry between them leading to constant disputes. In the course of one of these arguments before the King the Brahmin declared one day that his virtue was pleasing to the god Parabaravaraston, a deity of the first class, by whose aid he could at will transport himself into one of the seven heavens. The Penitent acepted the challenge, and the King, appointed arbiter, directed the Brahmin to penetrate the Heaven of Devendiren, and to bring thence a flower of the tree Parisadam, the mere scent of which confers immortality. The Brahmin saluted the King and took his leave, the whole Court expecting him to lose his wager, the Heaven of devendiren being well known to be inaccessible to mortals. It is the dwelling-place of forty-eight million goddesses, who have for spouses twenty-four millions gods, Devendiren being the chief; and the flower, Parisadam, of which he is very jealous, is the chief delight of this Heaven. The Penitent was dilating on these difficulties, and anticipating with joy the failure of his rival, when the Brahmin reappeared with the sacred flower; he was received with homage by King and Court, but the Penitent refused this homage, saying that the King and Court were too easily pleased, and that he could, if he wished, send his Cat thither, confident that he would be received by Devendiren with distinction. Speaking thus, he summoned his Cat Patriparan, and whispering in his ear, the Cat disappeared in the clouds to the wonder of the beholdrs, and entering the Heaven of Devndiren was received in the arms of the god with a thousand caresses. So far the Penitent had succeeded admirably, but now he received a check, for the favourite goddess of Devendiren, smitten with love for Patripatan, would on no account agree to the departure of the Cat. This latter, having explained the state of things to devendiren, the god supported him, explaining how the absence of the Cat would reflect upon and affront the Penitent. The goddess refused to listen, and the Best Devendiren could do was to obtain her promise to return the Cat to earth after a few centuries. King Salangham meanwhile awaited with impatience the return of the Cat; the Penitent alone remained unmoved, and they waited for three centuries without inconveniene beyond that of suspense, for the Penitent, by the power of his goodness prevented old age from attacking the witnesses. At the end of this period the sky suddenly became brillant, and in the cloud of a thousand colours appeared a throne formed of the flowers of Devendiren. The Cat was seated in majesty upon this throne, and on arriving near the King presented the Monarch with an entire branch bearing the flowers of Parisadam. The whole Court shouted 'Victory.' The Penitent was congratulated, but the Brahmin disputed his triumph, representing that the virtue of the Penitent wasa not to be given credit for this success, it being known how favourable were Devendiren and his favourite goddess to the Cats, so that without doubt half the credit was solely due to the Cat Patripatan. The King, on considering this argument, dared not decide between the Brahmin and the Penitent, but all united in admiration for Patripatan, and ever after this illustrious Cat was one of the chiefest ornaments of the Court, and suppsed every evening on the shoulder of the Monarch. I've been researching the History of Domestic Cats, collecting books on that History, & copying much from Websites. This includes "Fake History" too, I wasn't aware of Montcrif, in spite of all my reading, and so was absolutely delighted to find your two blogs on Montcrif. "Good on you! ", as we say in Australia. Montcrif deserves to be much better know. Keep up your excellent work.